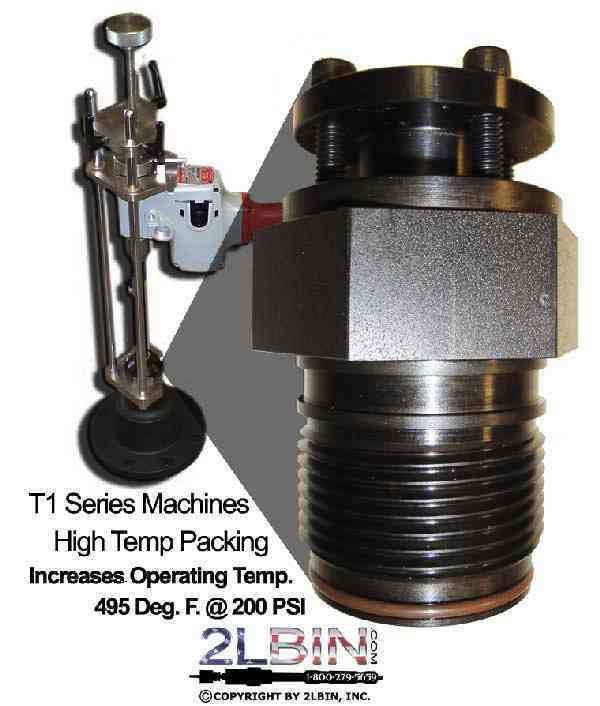 T1-M Taps 3/4"-2 or 4"
HP-104 High Pressure Taps 1/2"-4"
HP-106 High Pressure Taps 1/2"-6"
Need additional items to complete your hottap? 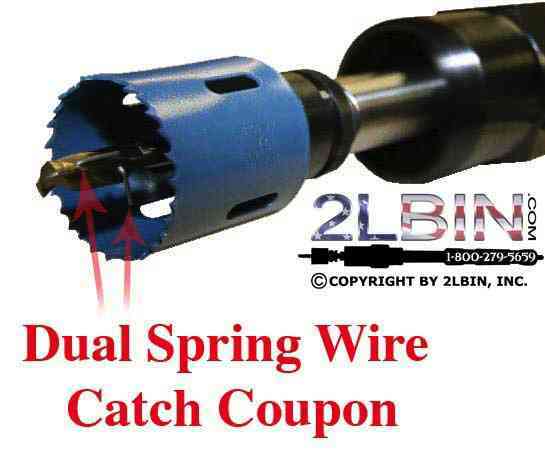 Items such as pilot drill bits, class 150 lb., 300 lb., and 600lb. ANSI Flanged and Threaded Adaptors? Feel free to call us at 1-800-279-5659 to complete your order or any other support you require. Machine comes standard with our newly designed 3-rail locking handles for added stability. 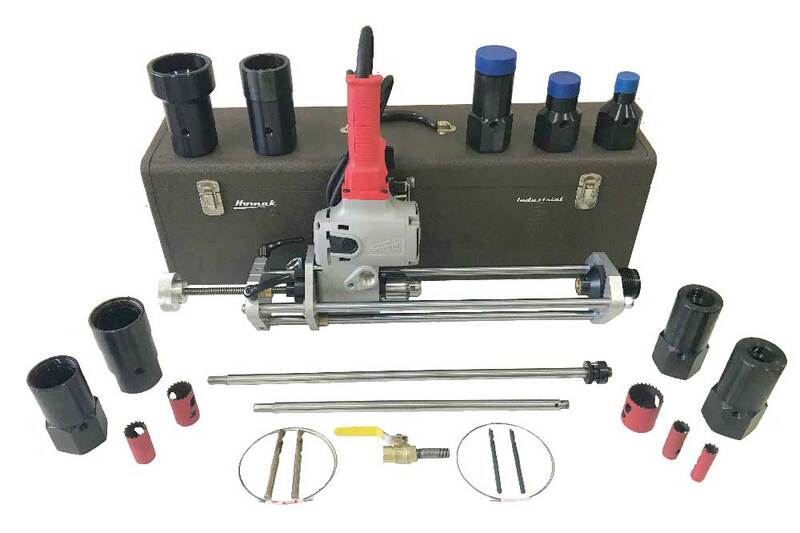 Don't be fooled by cheap imitations, we are the original manufacturer of the T1 series tapping machine! Click the images to increase the size. 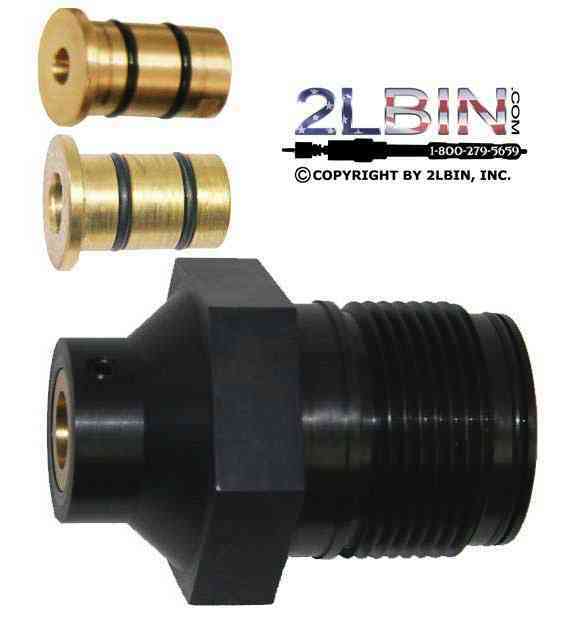 Note that 2LBin can shorten the lengths of the Drive Rails, Feed Screw, and Boring Bars of our machine to match issues that may arise with jobs in tight locations where the application is needed. Not necessary to purchase complete kits. Feel free to purchase only what you need for the job. Call 1-800-279-5659 and let us assist you with your order today. D-Boring bar allows for small cutters to screw directly on. 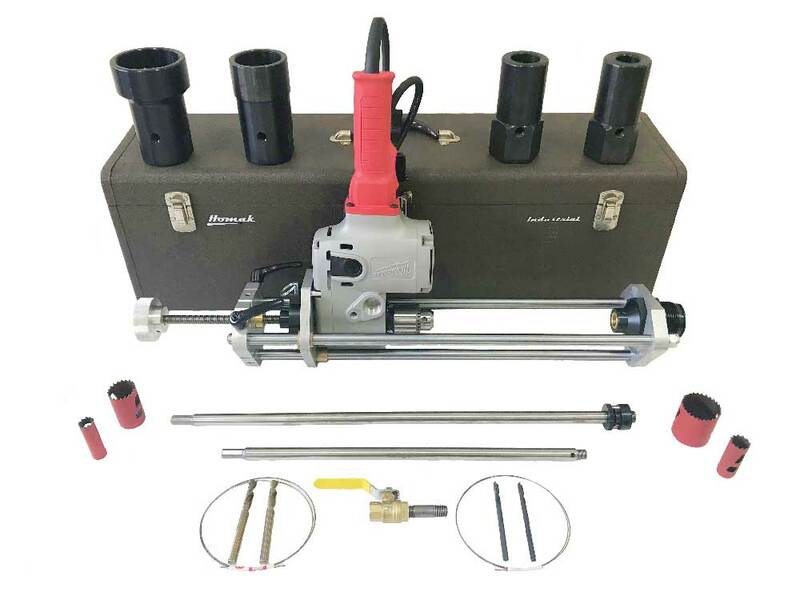 A 1/4" retention style pilot drill is supplied with each D-boring bar in this package. 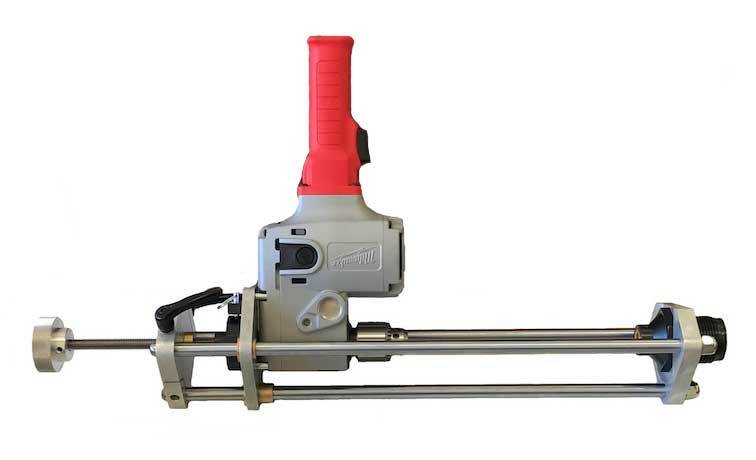 P-Boring bar has a cutter mandrel and retaining pilot drill. 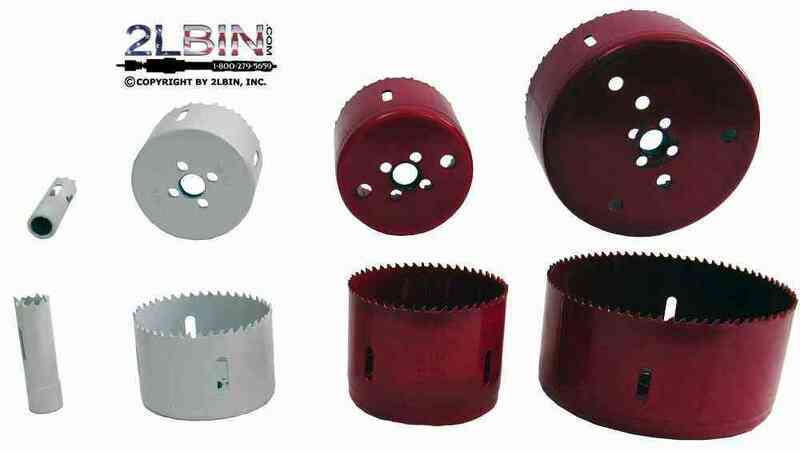 A 3/8" retention style pilot drill is supplied with each P boring bar in this package. * Storage box is for shipping purposes only! Not responsible for damages to the steel box during shipping! Need a Technical Certification of Training? 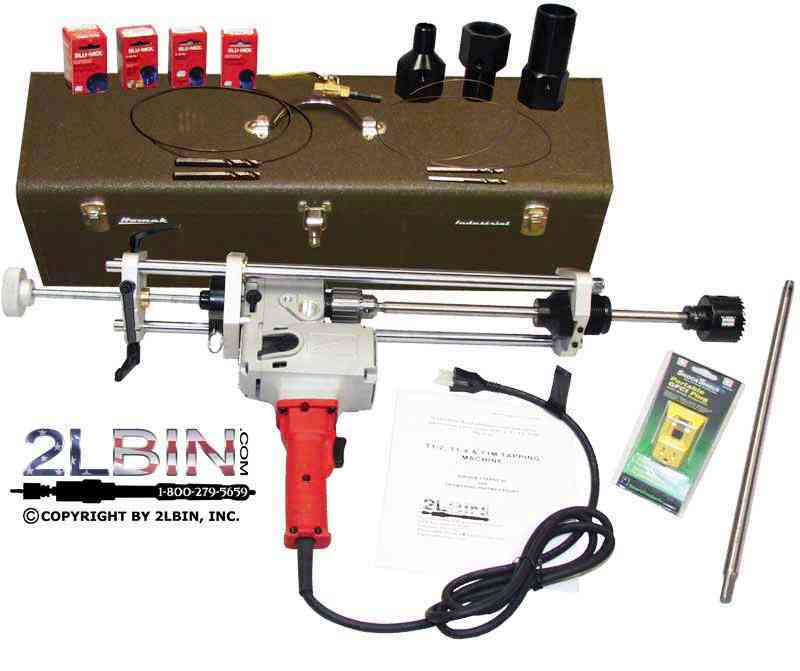 Recently 2LBin.com sold the T1-2 hot tapping machine package to a company that also wanted to purchase our Technical Certification of Training via our Hot Tapping Specialists Training Program. The Hot tap was successful, coupon was retained and a completion certificate of training was issued. 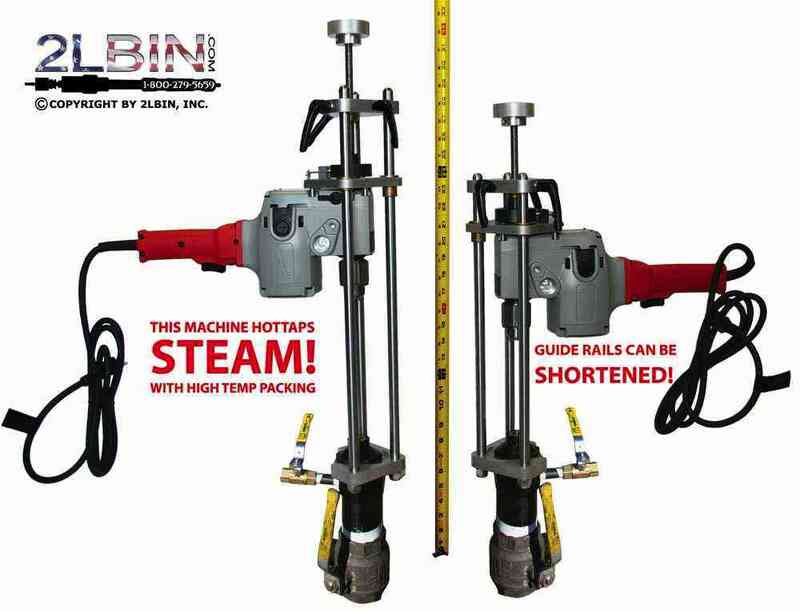 For more information about our hot tapping machines and services please call 1-800-279-5659. The T1-Series is designed light to maneuver and comes standard with our newly designed 3-rail locking handles for added stability. 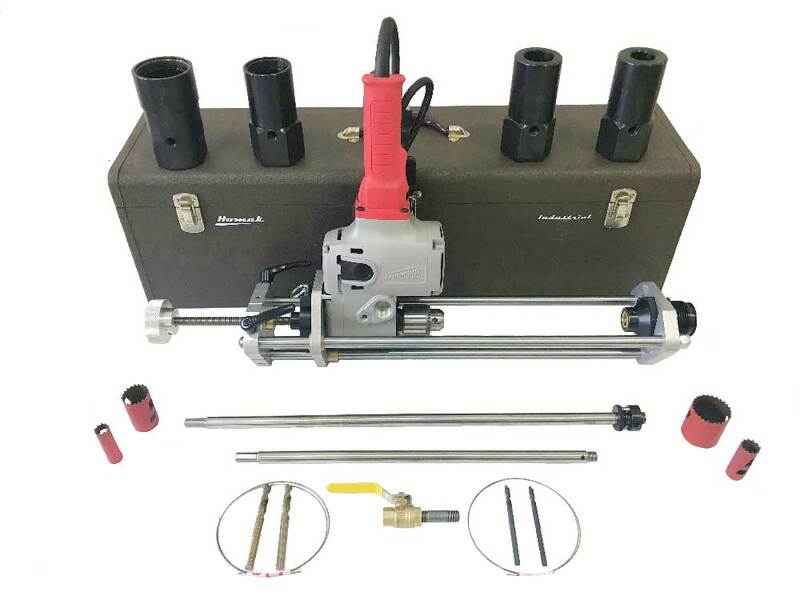 Plugs into standard 110 outlet, minimizes coupon loss, made in the USA for tappers by tappers and can hottap 3/4" - 4"
Comes with: T1 Series Hot tapping machine, Electric drive motor 110V, Back plate with spacers for T1 drive motor, Chuck wrench, O-ring, Feed screw assembly and Packing assembly. High Temp Graphic Coated Gaskets. 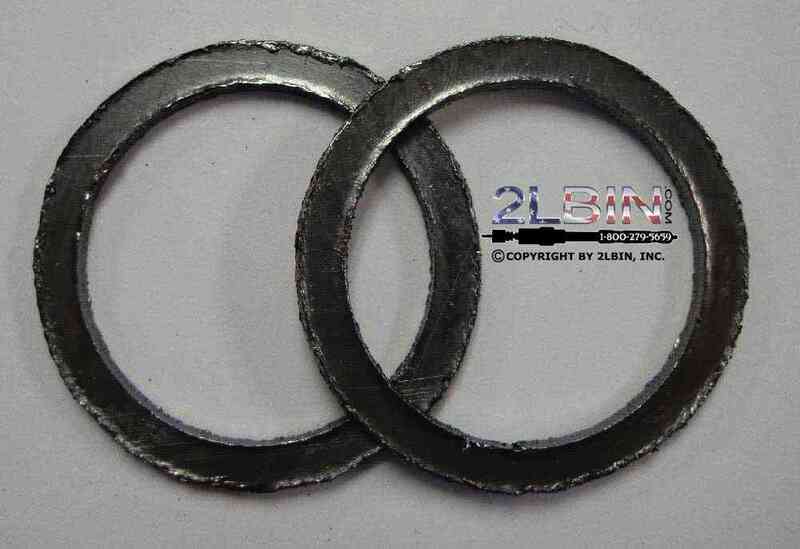 Two circle gaskets per order. 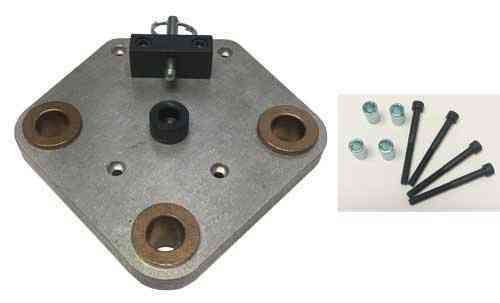 Compatible with most Hot Tapping Machines. Boring bar solid drill bits. 7/16” x 18” Solid bit with 3/8” Shank for a 1/2" Tap and requires the 3/8” Brass Packing Assembly at bottom of this page, here. 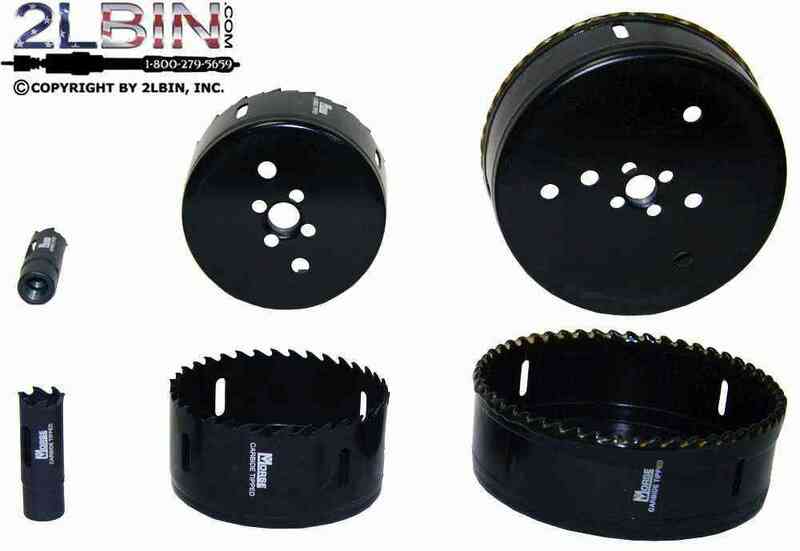 If you do not have a way to drill we can offer solid bits for the packing tool in order to perform tap. These solid bits are threaded and pinned – not welded. Threaded national iron pipe tapping adaptor with a 1/4" IP bleed off port. Enables the T1 Machines to thread onto IP tapping adaptors. High-speed steel cutting edge provides shock resistant teeth and resists tooth strippage. 4/6 positive tooth configuration allows for fast, smooth cuts and less vibration. Packaged in individual boxes. 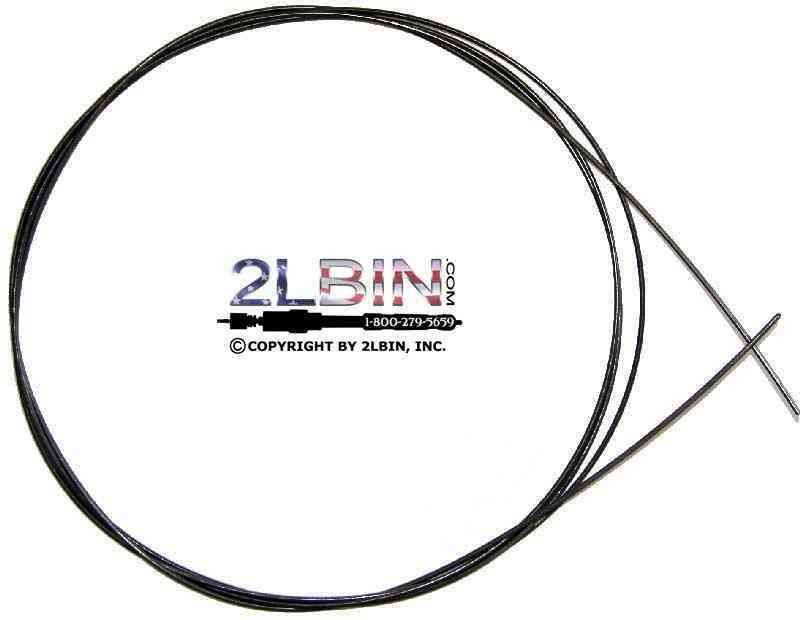 Creates holes for pipe and tubing installations, door lock installations, electrical conduits, hoses, and antennas. 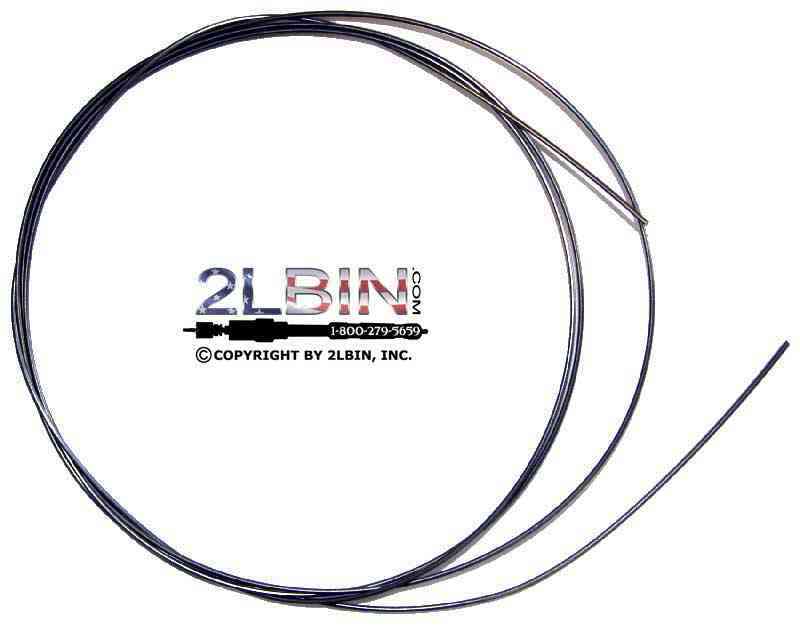 Ideal for plumbing, construction, aircraft, electrical, maintenance, and automotive applications. Carbide tips allow for greater heat and wear resistance than bimetal tips, provide up to 10 times greater tool life on abrasive materials, and come packaged in individual boxes. 3 teeth per inch for aggressive cutting. 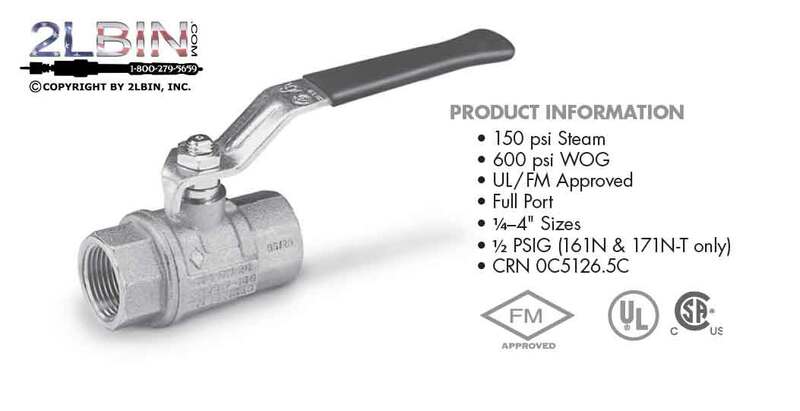 Ideal for plumbing, marine, and aircraft applications. Use in wood laminates, fiberglass, plywood, and tile.